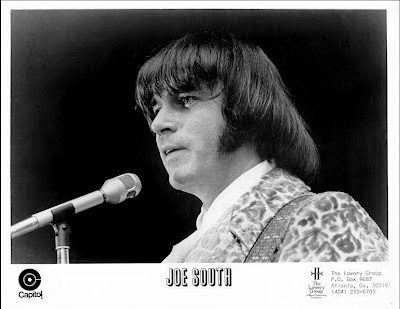 As his evocative name always somehow implied, Joe South was part and parcel of the Southern American musical landscape. After breaking into the Pop top fifty for Atlanta legend Bill Lowery as a Big Bopper styled rocker in 1958, he followed Bobby Edwards up the Country charts with an awesome version of You're The Reason, peaking at #16 in August of 1961. 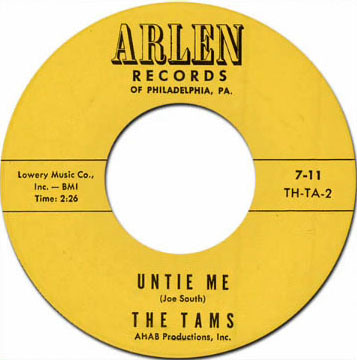 The following year, Lowery would cut a song Joe had written on Georgia vocal group The Tams (and create one of the very first 'beach music' hits in the process), Untie Me, which cruised to #12 R&B in the fall of 1962. 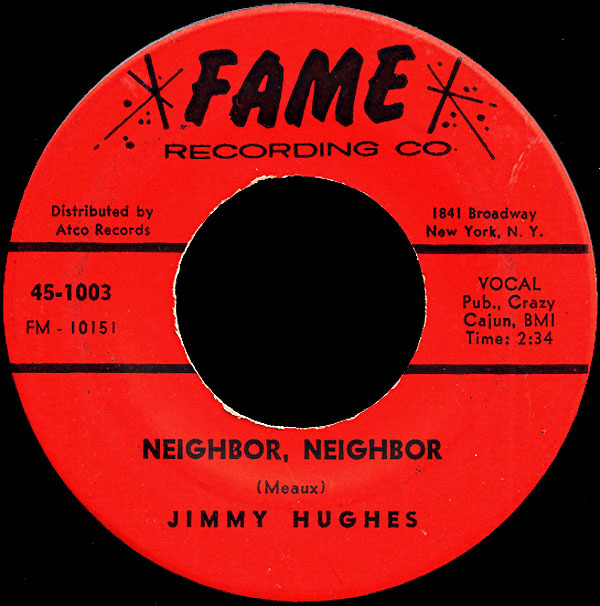 In 1963, he would bring South and the rest of his National Recording Corporation rhythm section (which also included Ray Stevens and Jerry Reed) to Rick Hall's original FAME studio out on the Wilson Dam Road, and create the killer top ten follow-up, What Kind Of Fool (Do You Think I Am), which prominently featured Joe's inventive guitar work for the first time. By 1965, Joe had gotten into production himself, and formed his own studio band that had grown out of that NRC group, anchored by his brother Tommy on the drums. He took a kid that had been making a name for himself on the Georgia show-bar circuit, and cut him on a song South had written, Down In The Boondocks. A song that would not only take Billy Joe Royal into the top ten that summer, but continue to live on in the hearts and minds of blue collar underdogs everywhere. I can remember it jangling out of my little transistor radio, filling the room with dreams. 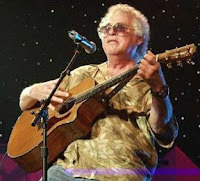 South remained in demand as a first call session guitarist, reportedly working on Dylan's Blonde On Blonde album in Nashville around the same time. 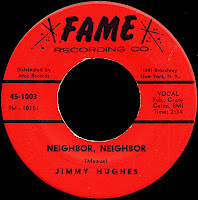 Rick Hall hadn't forgotten his guitar chops either, and brought him and Ray Stevens down to Muscle Shoals in 1966 to cut what remains one of my all time favorite Fame singles, Neighbor Neighbor, by Jimmy Hughes. 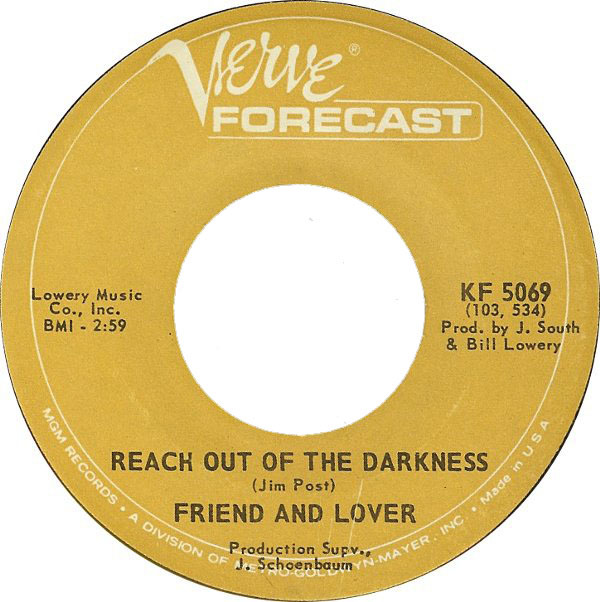 Jerry Wexler, as always, was paying attention, and imported South north in June of 1967 to cut one of the most memorable guitar licks ever, the Pops Staples influenced intro to Aretha's Chain of Fools... they just don't come much better than that now, do they? Atlantic would bring Joe back a few more times that year to continue his work with Aretha, and Solomon Burke as well. 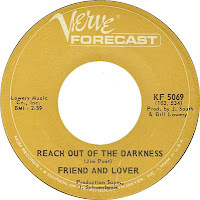 Back in Nashville in 1968, Joe called in old pal Ray Stevens and set about producing yet another song that would define an American Summer, Reach Out Of The Darkness, by one-hit-wonders Friend and Lover. Although it may seem a little over the top today, you couldn't turn on the radio without hearing it back then, and it was songs like this one (along with The Rascals' People Got To Be Free, which would share the top ten during that same period), that helped set the stage for the whole Woodstock Nation thing that was to follow. By late 1968, Joe had signed with Capitol, and released a sort of trippy, yet socially conscious album of his own called Introspect, which he described as "crawling into his own head." 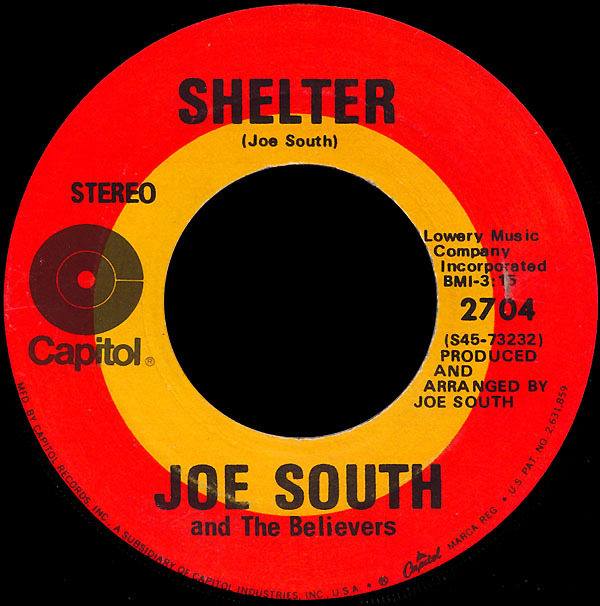 The first single released from the album in January of 1969 was an absolute monster, landing just shy of the top ten during the three months it spent on the charts. Picked as the song of the year at The Grammys, Games People Play (for better or worse) would become forever his signature song. 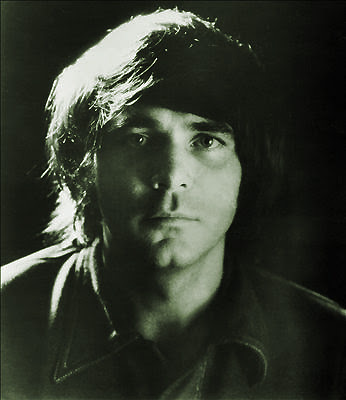 Joe South, who had been content to work in the background as a guitar player, songwriter and producer, was suddenly on top and in demand for live performances with a band that still included his brother Tommy on the drums as well as his sister-in-law Barbara, who played keyboards and led his troupe of backup singers, known collectively as 'The Believers'. 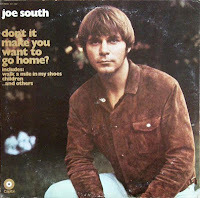 Joe would produce the follow-up album at his own Positive Sound Studios back home in Atlanta, and the title track from the record, Don't It Make You Want To Go Home?, just missed the top forty in the Fall of 1969. The second single pulled from the LP, however, would mirror the success of Games People Play, and climb to #12 (with a bullet) in early 1970. The amazing Walk A Mile In My Shoes once again spoke to what was going on in America at the time, and still rings true today... they should have played it at the Republican Convention, man! Anyway, this great big Gospel flavored tune we have here today was released as the flip of that 45, and demonstrates just what an all-around talent South was. Check out his big fat mass-choir production of The Believers on yet another of his great songs. Very cool stuff, that remains virtually unheard. All was not well in paradise, however. There were rumors of drug use, and erratic onstage behavior. "I equated the chemicals with the inspiration," he has said. 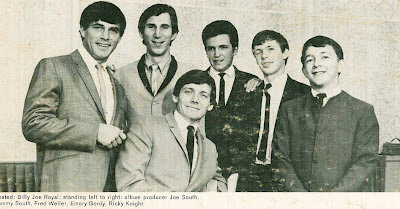 South's last chart entry would be in November of 1971 (Fool Me, #78), released right around the time his brother and closest ally Tommy killed himself in what has been called a 'drug related incident'. In 2003, Joe showed up at the Georgia Music Hall of Fame and took the stage along with old friends Buddy Buie, J.R. Cobb and Chips Moman. His performance of Don't It Make You Want To Go Home? just brought the house down, they say, and earned him the first standing ovation he had seen in a long time. In 2010, Joe South was scheduled to perform at The Ponderosa Stomp. For one reason or another, it didn't happen. Now it never will. "All God's Children get weary when they roam..."
I had no idea when I posted the Tams 'What Kind of Fool' (before I heard of Joe South's passing) that it was Joe on guitar! I just added that info and put in a link to this post. 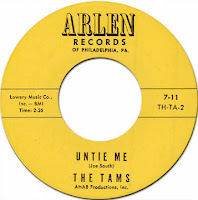 OK, mind blown....when I posted that comment I hadn't listened to the song, which when I did I recognized as one of my favorite Tams songs. I had no idea that South had written it. This is the nicest tribute to Joe that I've seen yet. Great info! He was such a great talent. This is a very nice tribute. Really appreciated! As I said over on Facebook, "...and until I read your comment, I had no idea it had been covered by The Tams, Larry! Very cool, and I think it says something about South's incredible songwriting skills that they translate so well to R&B. Just check out Willie Hightower's smoking Fame version of 'Walk A Mile In My Shoes'!!" Thanks, everyone... Joe was just such a legend. Great info. Didn't know Joe was involved in so much of my favorite music. Would like to use some of this article for a newsletter I do for a record collectors club. OK? 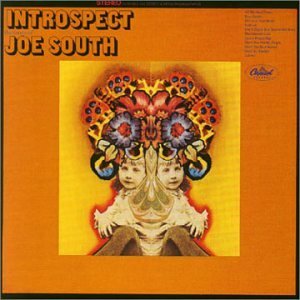 Should Joe South be in the Rock and Roll Hall of Fame ??? Yes, Joe should be in the R&R Ha;; of Fame... along with so many others that have been neglected by the clueless people who run the place. Thanks!